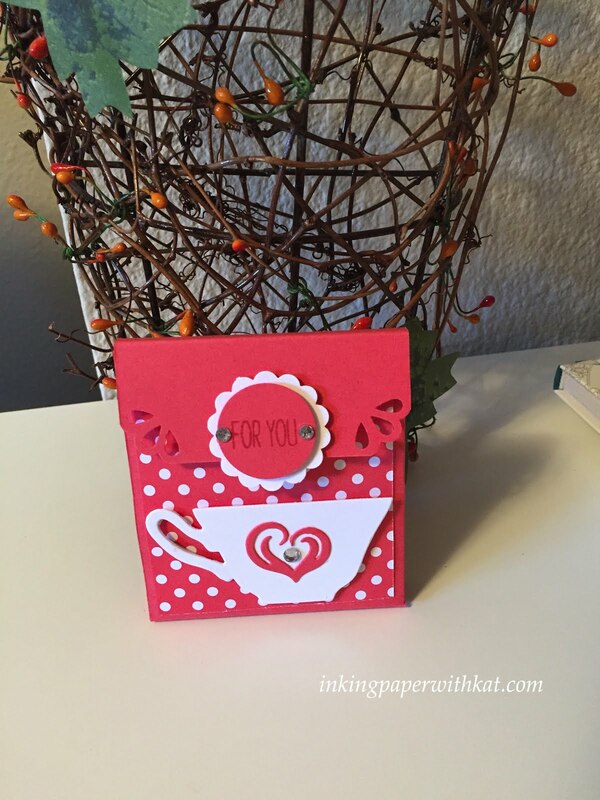 How about a nice cuppa for Valentine's Day? This project will hold two packets of tea. 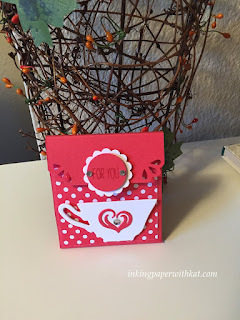 Using the Cups and Kettle Framelits from Stampin Up gives that little hint as to what is inside. Click Tea Caddy for a PDF of the instructions.